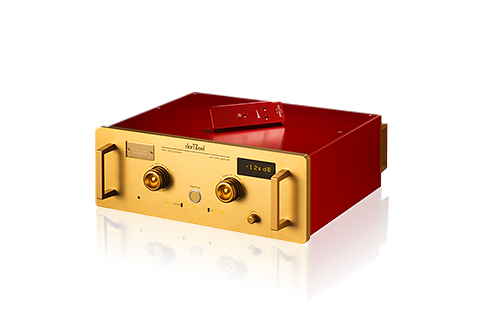 The LHC-208 is an integrated amplifier, network player and ultra-high-resolution digital converter in one modern and elegant chassis. 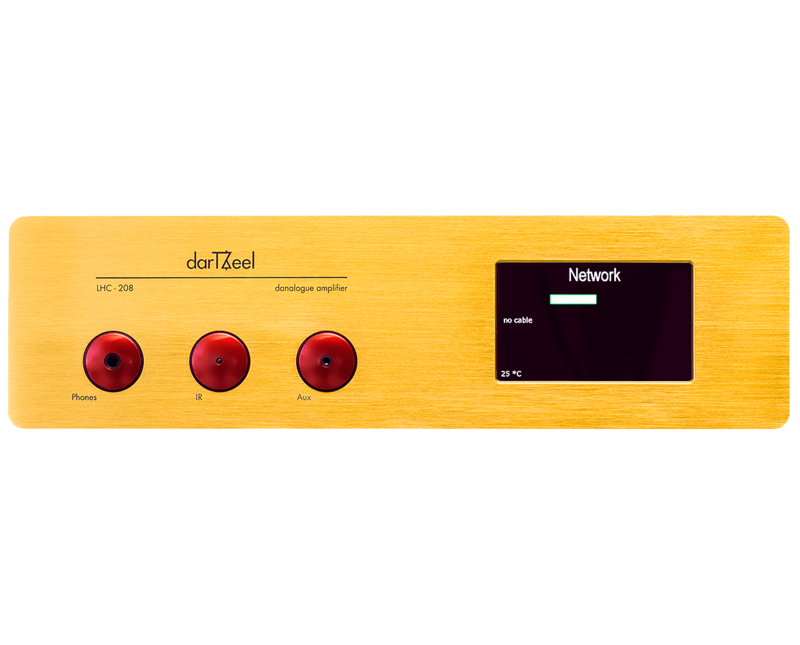 darTZeel has opened up a new world of digital audio reproduction possibilities with the LHC-208. 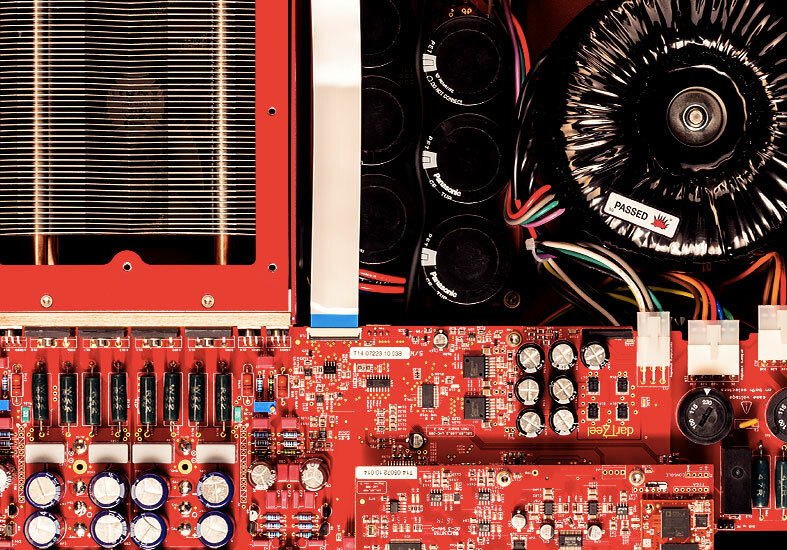 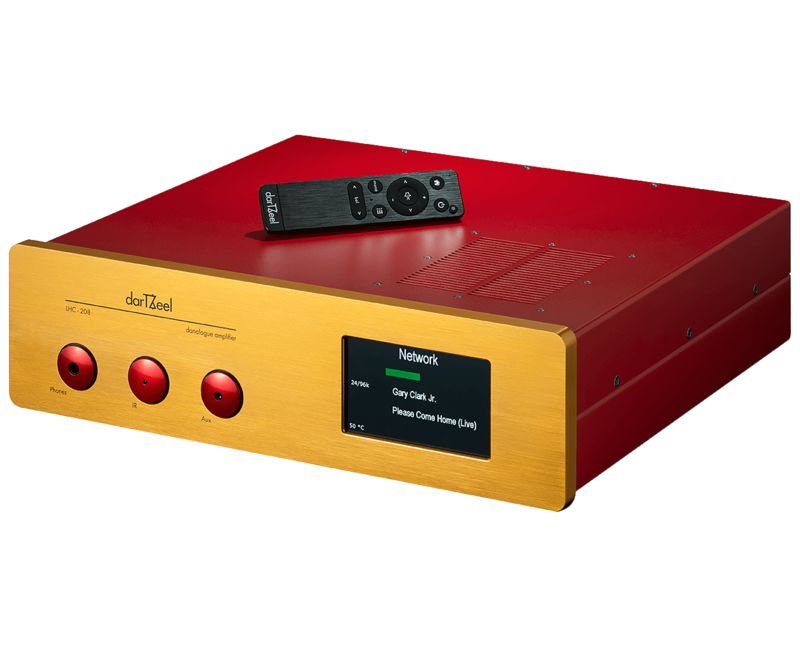 Designed to handle high-quality digital music, the LHC-208 is in fact a « danalogue » integrated amplifier, with built-in streaming system and DAC. 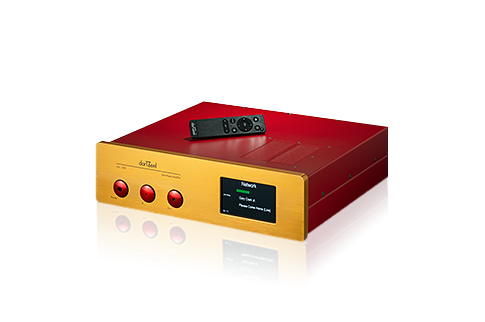 darTZeel has ventured into the world of digital to offer its signature brand of unparalleled sound reproduction, through its groundbreaking approach to signal processing. 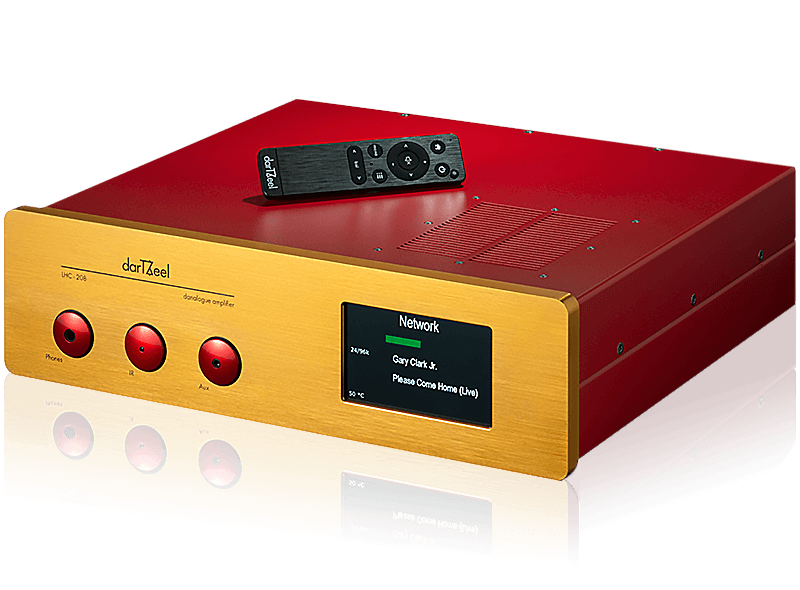 With an active Ethernet connection, the LHC-208 decodes and reproduces digital audio files, including DSD256 and 24/384 formats. 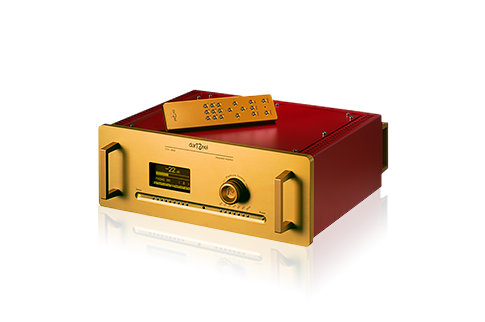 The LHC-208 can be operated using its remote control or any DLNA-compatible UPnP application. 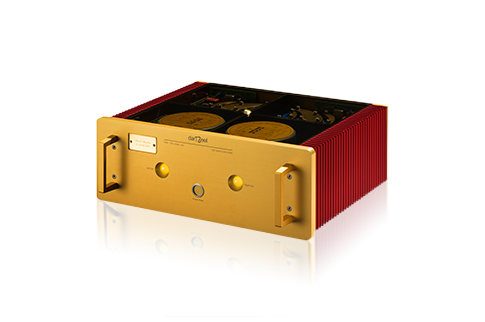 The LHC-208 offers excellent digital conversion quality, ease of use, a compact and elegant chassis, powerful output stages and development potential with its modern interface. 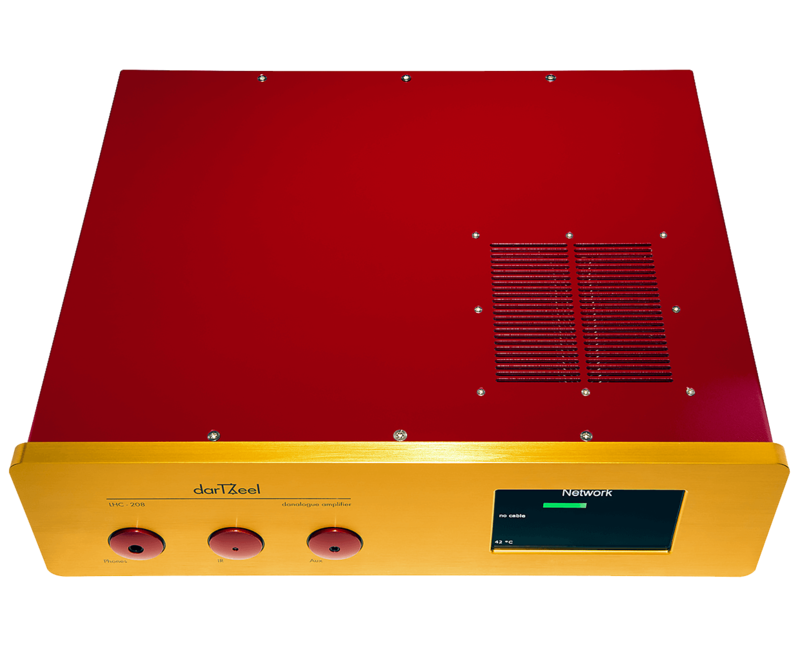 Before it could offer an unforgettable musical experience, the darTZeel LHC-208 was developed gradually over more than three years in our lab, where attention was paid to every last detail. 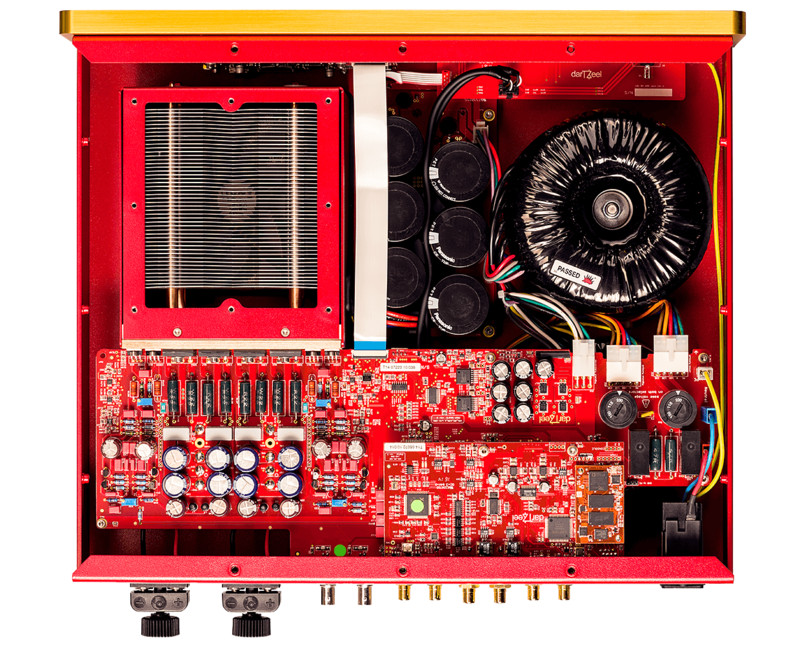 For the first time, you can listen to very-high-resolution music with non-PLL clock distribution, for an unparalleled analogue listening experience. 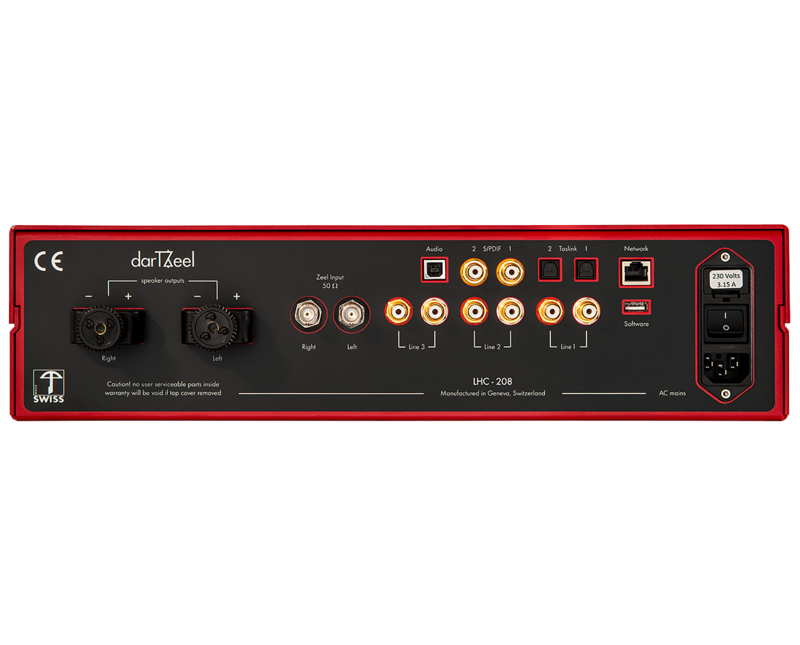 The darTZeel LHC-208 offers regular software updates, a single cooling system, a groundbreaking clock system and an upgradeable digital platform. 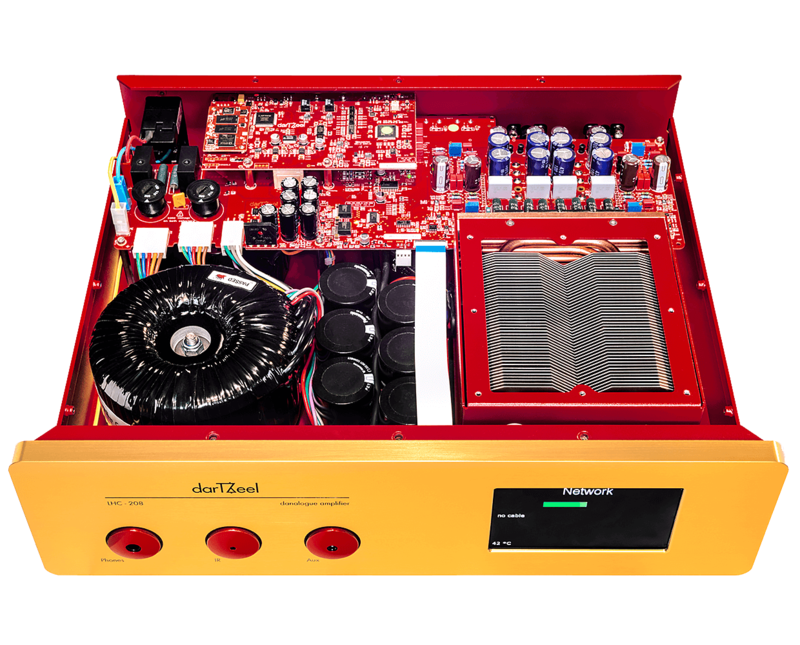 With five analogue inputs, six digital inputs, a dedicated headphone amplifier, and a touch screen, along with analogue circuits modelled on the NHB-458, the LHC-208 really has everything. 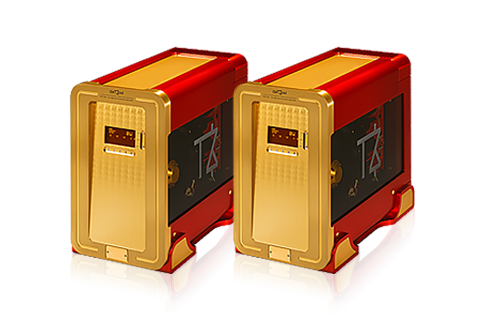 Except a pair of speakers and your music library.